It looks bigger than hanty. But using the same pattern. 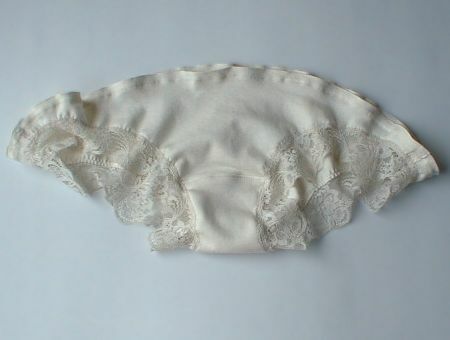 Ivory stretch cotton (the same of my dolls' skin). Stretch lace is soft and comfortable. It doesn't leave the elastic mark on your thighs. You may enlarge or extend the pattern if need. 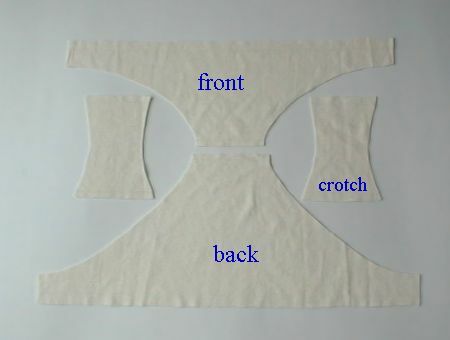 The way of sewing is almost the same. But easier. 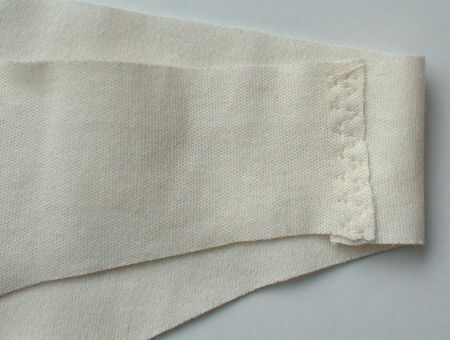 Sew with zigzag stitch at the sides and attaching the lace. 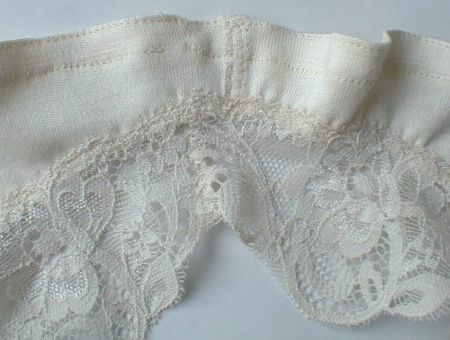 Attach lace. 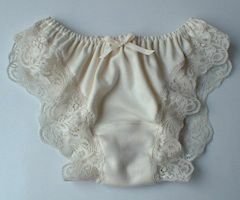 Lace is shorter than fabric. When stitching lace, stretch it. Stitch the waist. 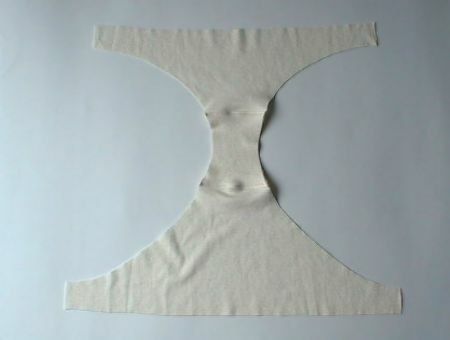 Put elastic through.